Yosemite National Park is known for nature, trails, scenic drive, museums, and historic sites. 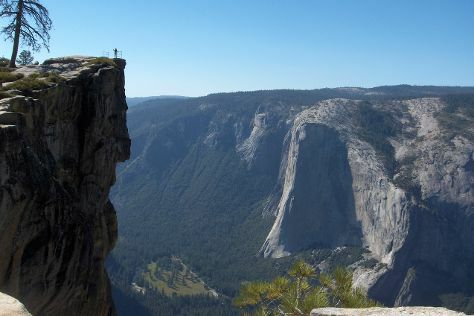 Your plan includes some of its best attractions: take in the dramatic natural features at Taft Point, trek along Tuolumne Meadows, tour the pleasant surroundings at Cathedral Beach Picnic Area, and cruise along Tioga Pass. For traveler tips, where to stay, maps, and more tourist information, you can read our Yosemite National Park trip planning app . Sydney, Australia to Yosemite National Park is an approximately 19.5-hour combination of flight and car. You can also do a combination of flight, subway, bus, and taxi; or do a combination of flight, bus, and taxi. The time zone difference when traveling from Sydney to Yosemite National Park is minus 18 hours. Expect a bit cooler weather when traveling from Sydney in October: highs in Yosemite National Park hover around 22°C, while lows dip to -2°C. Cap off your sightseeing on the 2nd (Sat) early enough to go by car to Healdsburg. Start off your visit on the 3rd (Sun): awaken your taste buds at some of the top wineries in the area, do a tasting at Gracianna Winery, and then do a tasting at Williamson Wines Tasting Room. Get ready for a full day of sightseeing on the 4th (Mon): learn about winemaking at Pride Mountain Vineyards, then do a tasting at V. Sattui Winery, then do a tasting at Anderson's Conn Valley Vineyards, and finally do a tasting at Jordan Vineyard & Winery. To see ratings, other places to visit, photos, and tourist information, you can read our Healdsburg trip planner. Traveling by car from Yosemite National Park to Healdsburg takes 5 hours. Alternatively, you can do a combination of taxi, bus, and train; or do a combination of taxi and bus. Traveling from Yosemite National Park in November, you will find days in Healdsburg are somewhat warmer (22°C), and nights are much hotter (5°C). Finish your sightseeing early on the 4th (Mon) so you can drive to San Francisco. When in San Francisco, make a side trip to see Wine Tours & Tastings in Napa, approximately 1h 10 min away. There's still lots to do: take in the views from Golden Gate Bridge, buy something for everyone on your list at Ferry Building Marketplace, tour the pleasant surroundings at China Beach, and wander the streets of Marina District. To find where to stay, more things to do, traveler tips, and other tourist information, refer to the San Francisco online itinerary builder . Traveling by car from Healdsburg to San Francisco takes 1.5 hours. Alternatively, you can take a bus. Traveling from Healdsburg in November, plan for somewhat warmer nights in San Francisco, with lows around 12°C. Finish your sightseeing early on the 8th (Fri) so you can travel to New York City. New York City is known for museums, nightlife, shopping, historic sites, and parks. Your plan includes some of its best attractions: go for a walk through Central Park, admire all the interesting features of The High Line, stop by Tiffany & Co., and wander the streets of Times Square. To see ratings, photos, where to stay, and tourist information, read our New York City trip maker site . You can do a combination of flight and bus from San Francisco to New York City in 9 hours. Other options are to fly; or drive. The time zone difference moving from Pacific Standard Time (PST) to Eastern Standard Time (EST) is 3 hours. Prepare for little chillier weather when traveling from San Francisco in November: high temperatures in New York City hover around 16°C and lows are around 7°C. Finish up your sightseeing early on the 12th (Tue) so you can travel to Key West. Kick off your visit on the 13th (Wed): look for all kinds of wild species at Key West Butterfly & Nature Conservatory, then see the interesting displays at The Ernest Hemingway Home and Museum, then steep yourself in history at Truman Little White House, and finally take in the waterfront at Mallory Square. On the 14th (Thu), you'll have a packed day of sightseeing: see the interesting displays at Mel Fisher Maritime Heritage Museum, explore and take pictures at Audubon House & Tropical Gardens, admire the natural beauty at Oldest House & Garden Museum, stop by Peppers of Key West, then take in the architecture and atmosphere at Saint Mary Star of the Sea, and finally stroll the grounds of Key West Cemetery. For photos, traveler tips, maps, and tourist information, read our Key West holiday builder site . You can do a combination of bus and flight from New York City to Key West in 6 hours. Other options are to fly; or drive. Prepare for much hotter weather when traveling from New York City in November: high temperatures in Key West hover around 32°C and lows are around 26°C. Wrap up your sightseeing on the 14th (Thu) to allow time to travel to Grand Canyon National Park. 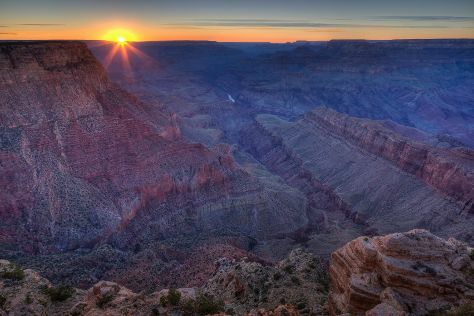 Spend the 16th (Sat) exploring nature at Grand Canyon National Park. There's lots more to do: tour the pleasant surroundings at Rim Trail, take some stellar pictures from Maricopa Point, contemplate the long history of Grand Canyon Railway Depot, and pause for some photo ops at Powell Point. For traveler tips and more tourist information, read Grand Canyon National Park journey builder tool . Getting from Key West to Grand Canyon National Park by combination of flight and bus takes about 13.5 hours. Other options: do a combination of flight and shuttle; or do a combination of flight, shuttle, and bus. The time zone difference moving from Eastern Standard Time to Mountain Standard Time is minus 2 hours. Traveling from Key West in November, things will get cooler in Grand Canyon National Park: highs are around 14°C and lows about -6°C. Finish your sightseeing early on the 18th (Mon) so you can travel to Las Vegas. You'll find plenty of places to visit near Las Vegas: Hoover Dam (in Boulder City) and Valley of Fire State Park (in Overton). There's lots more to do: ponder the design of Bellagio Fountains, take in the dramatic natural features at Red Rock Canyon National Conservation Area, enjoy some diversion at Wee Kirk O' the Heather Wedding Chapel, and browse the different shops at The Grand Canal Shoppes at The Venetian. To find ratings, photos, other places to visit, and other tourist information, you can read our Las Vegas tour itinerary planning tool . You can do a combination of flight and car from Grand Canyon National Park to Las Vegas in 4.5 hours. Other options are to drive; or take a shuttle. The time zone difference when traveling from Grand Canyon National Park to Las Vegas is minus 1 hour. Traveling from Grand Canyon National Park in November, expect nights in Las Vegas to be much warmer, around 9°C, while days are somewhat warmer, around 23°C. Finish up your sightseeing early on the 22nd (Fri) so you can travel to Hilo. Change things up with these side-trips from Hilo: Hawaii Volcanoes National Park (Devastation Trail, Kilauea Iki Trailhead, & more), Hapuna Beach State Recreation Area (in Puako) and Jagger Museum (in Volcano). There's still lots to do: admire the sheer force of Akaka Falls State Park and take in nature's colorful creations at Hawaii Tropical Botanical Garden. To see other places to visit, maps, traveler tips, and more tourist information, go to the Hilo trip maker tool . You can fly from Las Vegas to Hilo in 10 hours. The time zone changes from Pacific Standard Time (PST) to Hawaii Standard Time (HST), which is usually a -2 hour difference. While traveling from Las Vegas, expect a bit warmer days and much hotter nights in Hilo, ranging from highs of 32°C to lows of 23°C. On the 26th (Tue), wrap the sightseeing up by early afternoon so you can travel back home.